A woman’s winter hat is usually treated more as a functional item than anything else, and its main purpose is to simply keep you warm any cozy. This being said, there is so much more to this essential accessory than the fact that it protects your head from the worries of winter. There’s something to be said about a woman’s winter hat that is as stylish as it is practical, and we find sometimes these items are few and far between. Now I’m not talking about tossing on a beanie before you run out the door, I mean a more crafted hat that adds to any bundled winter outfit. Keep reading to learn about some of our most sophisticated- and useful- choices. Nothing speaks to a woman’s taste quite like a charming cloche. Some think this style hat can be particularly challenging to wear, but when they are perfectly hand crafted or patterned, picking out an outfit is an easy task! Katherine Elizabeth’s cloches capture the perfect old-world aesthetic adding a hint of a 1920’s feel while still staying fashionable and chic. 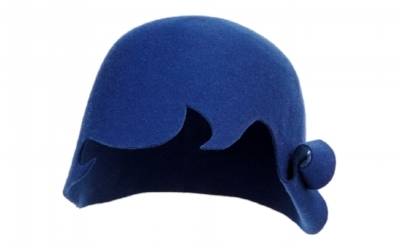 A cloche can propel any look into the realm of fashion, while still handling the extreme weather conditions perfectly. A floppy hat is usually associated with a tropical beach vacation or a warm summer day, a stereotype most people still follow. What if I told you a big brimmed hat isn’t only for laying by the beach, but can be worn on the coldest of winter days? With a material like felt, floppy hats can be both functional and sophisticated and can be the perfect accessory for a cozy Christmas evening! You can count on a big brimmed hat to preform well functionally, while still keeping up your reputation as a fashionista. As long as these hats are nestled close to your head, it will stay put, shield your face from any snowfall, and keep you plenty warm! With the New Year rapidly approaching, what better way to celebrate than with the perfect headpiece? Katherine’s hand made head pieces are decorated with beautiful feathers and accessories, making them the best addition to any eccentric New Years outfit! These fixtures pair perfectly with any festive dress and are an amazing way to add excitement to your look! The top hat is an iconic style that today is more often used as novelty and a formal accessory. Katherine’s felt top hats are beautifully embellished with just a touch of feathers and are the best way to add to any formal dress. The top hat is a perfectly unique style and although it isn’t one of the most common decorative hats, it suits a wide variety of face shapes and looks extremely elegant with anything and everything! The last accessory we love this winter are soft wool headbands! Katherine’s hand knitted headbands are the perfect way to keep warm during the windy winter nights and look beautiful with any coat or scarf. If you’re worried about all your layers hiding your clothes, these headbands are the perfect way to draw attention to your face and away from all that clothing! 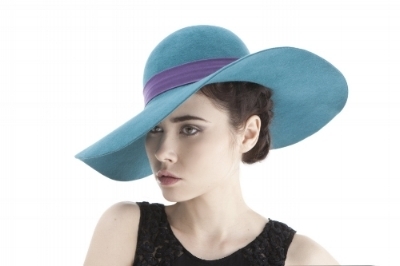 For more winter hats have a look in the collection section of our site, or stop by our store in the Oxo Tower!